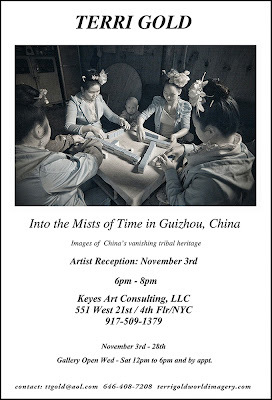 I am China at the moment, attending the Lishui Photography Festival, and then off to Beijing for a week, so I thought it was appropriate to share Terri Gold’s work and bring attention to her exhibition opening this Thursday, November 3rd, at Keyes Art Consulting in New York City. The exhibition will run through the 28th. 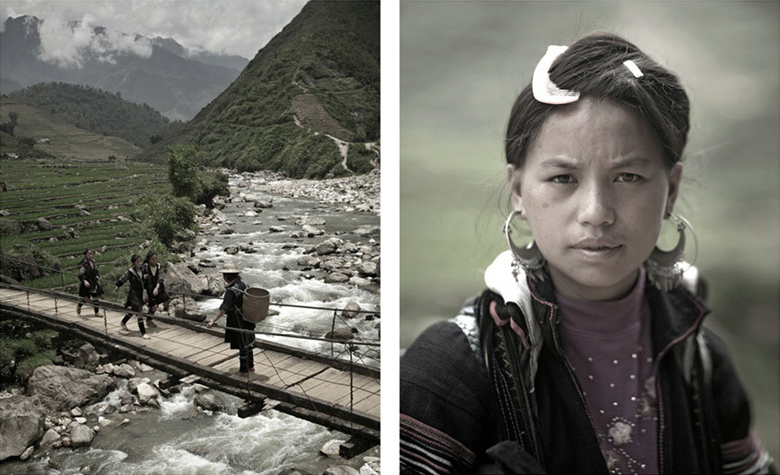 Terri brings a unique point of view and approach to her travel imagery, capturing cultures that are changing rapidly, yet rooted in traditions that are centuries old. My ongoing body of work, Still Points in a Turning World, explores our universal cross-cultural truths: the importance of family, community, ritual and the amazing diversity of its expression. 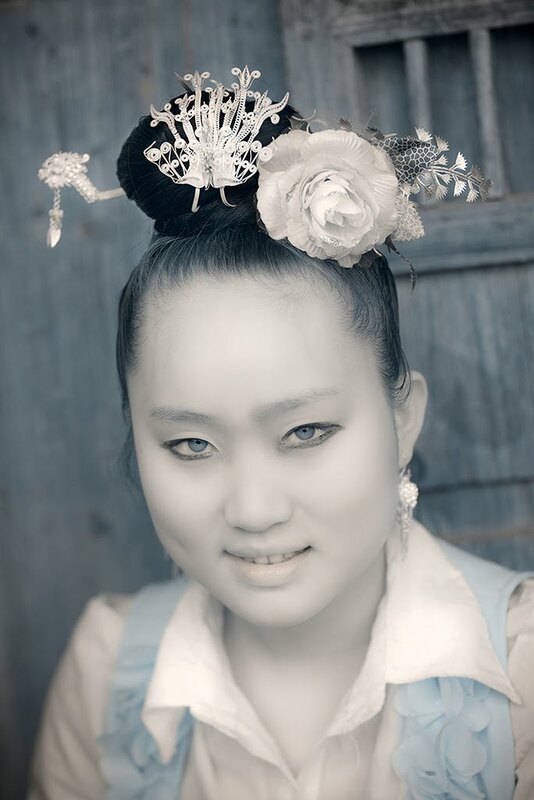 This chapter in the series is entitled “Into the Mists of Time in Guizhou, China”. Each day our van would climb around hundreds of switchbacks, our faithful driver Chen, his eyes totally focused, honking at each bend. 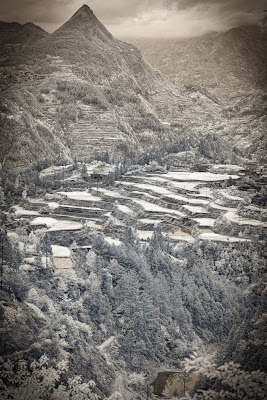 Winding our way through 2000-year-old rice terraces intricately carved into the mountainside, higher and higher into the mists, the landscape green and lush, roads newly built and muddy, finally we would arrive. 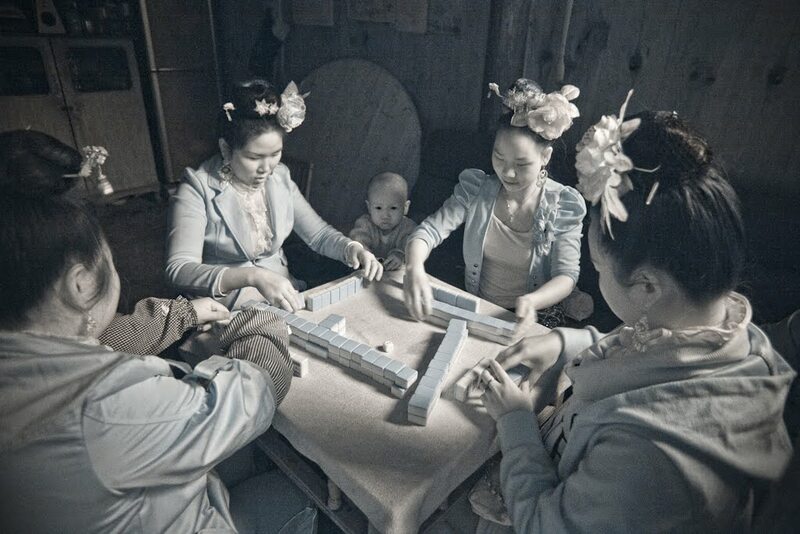 The villagers awaited us with welcome ceremonies that have not changed for generations. 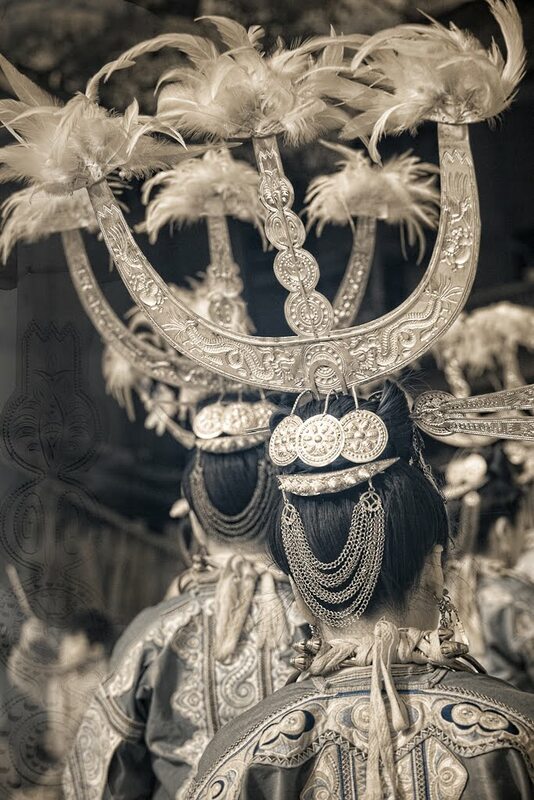 Men playing bamboo flutes and women dancing in magnificent, elaborately hand-embroidered outfits with sparkling silver pheasant and dragon headdresses. The older people are still wearing traditional dress everyday but the next generation only wears these colorful garments for festivals. This is a significant change, for these tribes’ identity is best represented by their intricate textile work. Now the younger generation wants a different life. The city has become a synonym for modernity, the country backwardness. These are not stagnant societies there is change in the air. It is predicted that in the next few decades, China will experience the largest human migration in the world’s history, from rural to urban. At risk is a vast archive of knowledge and expertise of healers and weavers, silversmiths and musicians, poets and saints. My work is interpretive in nature. My technique involves creating imagery using the invisible infrared light spectrum. 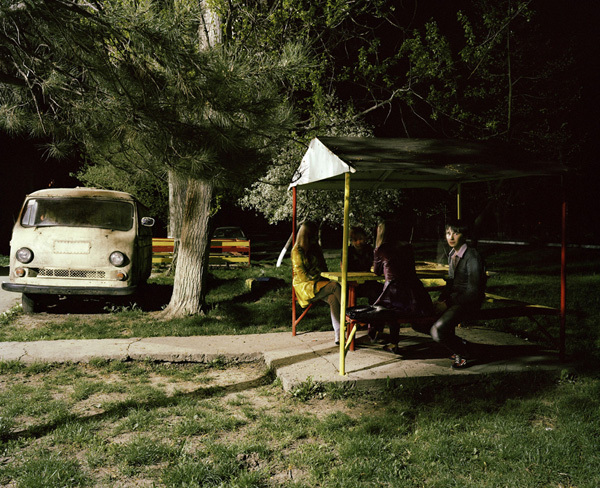 Working with infrared light suits the subject matter and the timeless quality of the images. The post processing is part of my medium creating work that combines the use of the lens with technology. We all lose when ancient skills and visionary wisdom are forgotten. . Traditions and rituals are still points, they are our histories and our connections to the past, and they are our future as well. 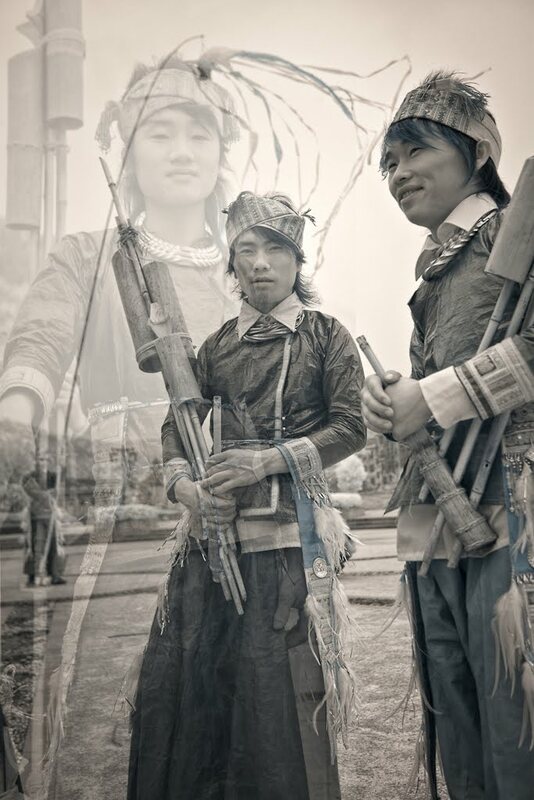 As a “visual archeologist” I am interested in capturing these last moments of the rich tapestry of tribal life. This entry was posted in Contemporary Photography, L E N S C R A T C H, Uncategorized and tagged Art Consulting, Bamboo Flutes, Colorful Garments, Contemporary Photography, Different Life, Guangxi, Guizhou China, Honking, Miao, Minority Culture, Mists Of Time, Modernity, Mountainside, Pheasant, Photographer, Photographers, Photographs, Photography Festival, Photography., Rice Terraces, Silver Pheasant, Traditional Dress, Welcome Ceremonies, Western Guests, Younger Generation on November 1, 2011 by Aline - lenscratch.blogspot.com/. Jake Verzosa, 1979, Republic of the Philippines, is a succesful commercial and editorial photographer based in Manila. Amongst his clients are McDonalds and Nike. 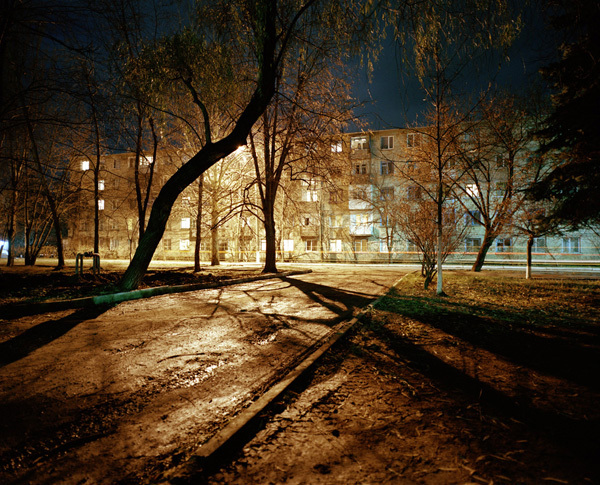 Due to these commisions he has been able to travel around Southeast Asia and work on his personal, documentary photography. Recently he has photographed elderly women in the Cordillera mountain range of the Philippines. They are the last women that have the traditional tattoos that hold values of women’s strength and fortitude. Due to the influence of western interpretations of aesthetics the perception of beauty has changed amongst the younger generation. 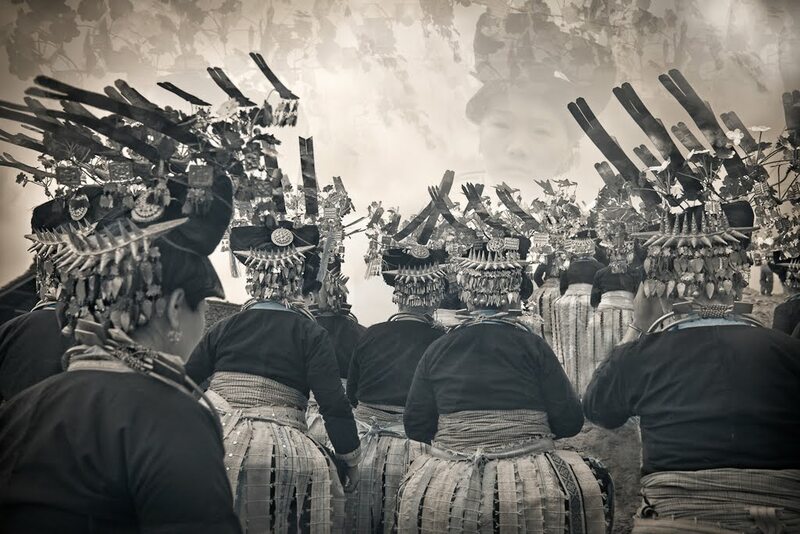 Earlier, during his travels, he was already photographing various indigenous peoples throughout Southeast Asia, resulting in the project Communal Identity. The following images come from the series The Last Tattooed Women of Kalinga, Manila’s Railside and Communal Identity. This entry was posted in 500, 500photographers, Contemporary Photography and tagged 1979, Aesthetics, Commercial Photographer, Commisions, Communal Identity, Contemporary Photography, Documentary Photography, Editorial Photographer, Elderly Women, Fortitude, Images, Indigenous Peoples, Jake, Jake Verzosa, Mcdonalds, Nike, Perception Of Beauty, Philippines, Photographer, Photographers, Photographs, Photography., Railside, Republic Of The Philippines, Southeast Asia, Traditional Tattoos, Travels, Verzosa, Younger Generation on June 8, 2011 by Four Eyes Photography Productions.